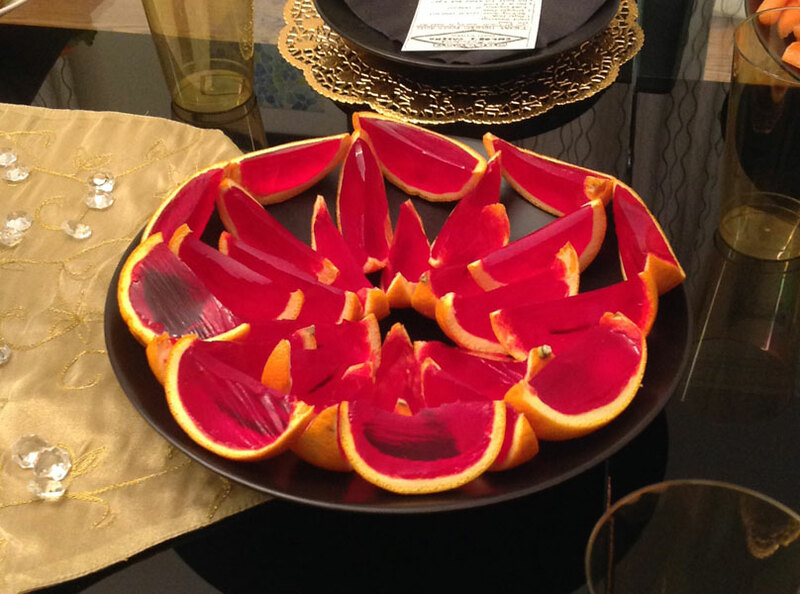 These are fun to make and an interesting addition to the spread of food Chicago teen had at her Sweet Sixteen last weekend. 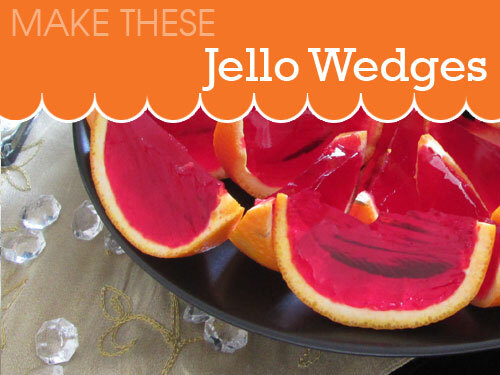 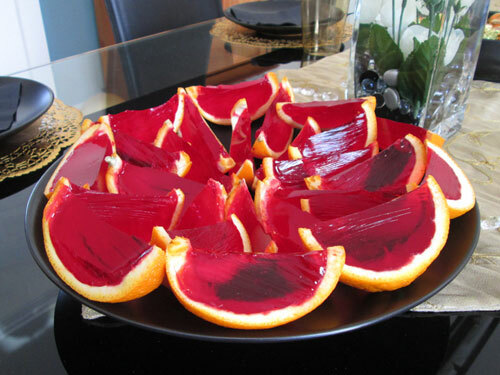 Make up the Jello following the instructions for jigglers…this uses less water and makes “stronger” jello. 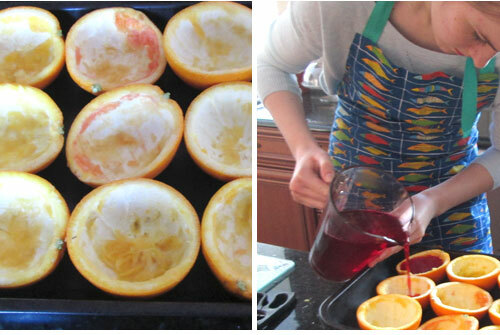 Cut each orange in half and scoop out the flesh, a knife is good to get started . 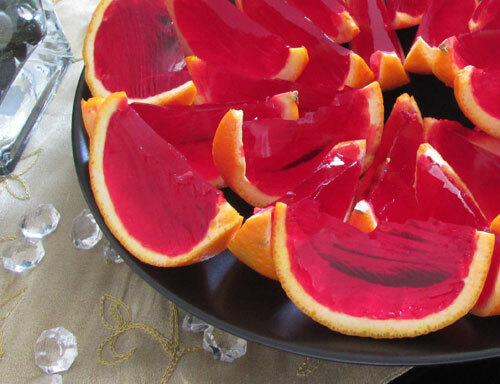 Put orange flesh in a bowl and gorge on it throughout the day!